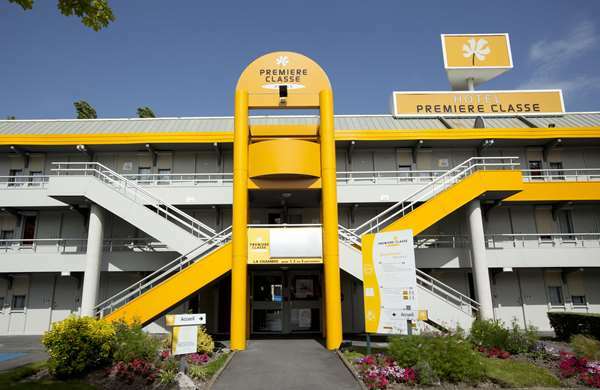 Our 1-star hotel is directly accessible from exit 66 off highway A20, and is 5 minutes from the city center. We are open 24 hours a day and have a large enclosed parking lot for your vehicle. 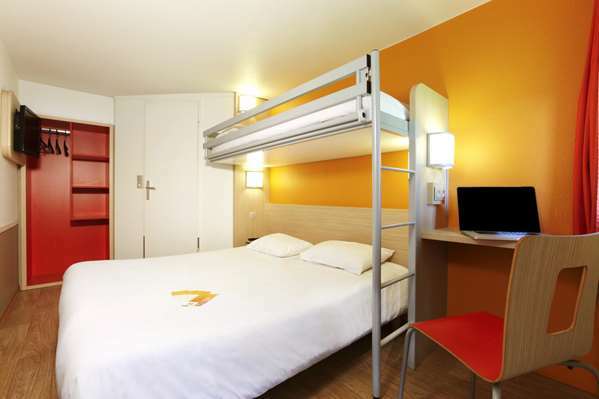 You will be accommodated in affordable, comfortable, air-conditioned rooms whether you are alone or two or three people. Our 71 rooms are ideal place to stay as you are exploring the Tarn-et-Garonne region or for a stopover on the Cahors-Toulouse or Toulouse-Bordeaux axes. 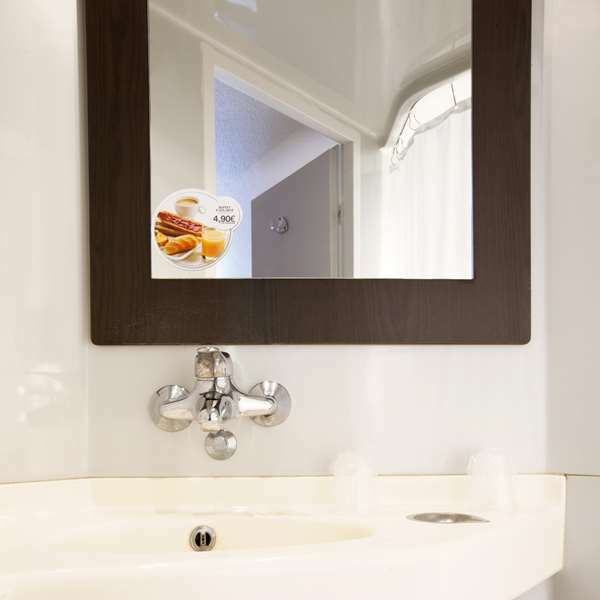 We offer all the necessary comfort and convenience with an individual shower cubicle and toil in each room, but also a flat-screen TV and free Wi-Fi connection. 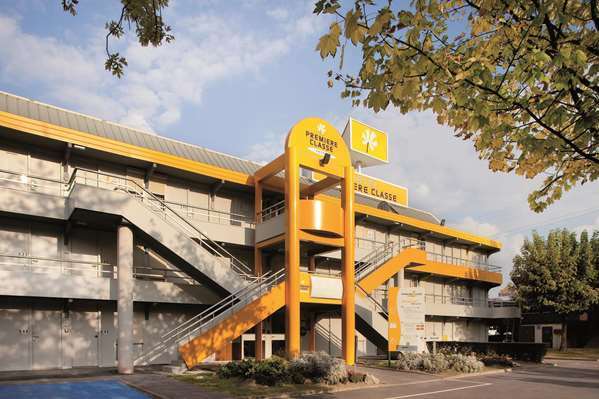 In addition to the historic center of the city of Montauban, the Ingres Museum and Sapiac Rugby Stadium, our hotel is conveniently located so you can explore the medieval cities of Bruniquel and Auvillar, the Canal du Midi, the Saint-Pierre-de-Moissac Abby and its cloister, and the Quercy de Saint-Antonin-Noble-Val, near the Gorges de l’Aveyron. 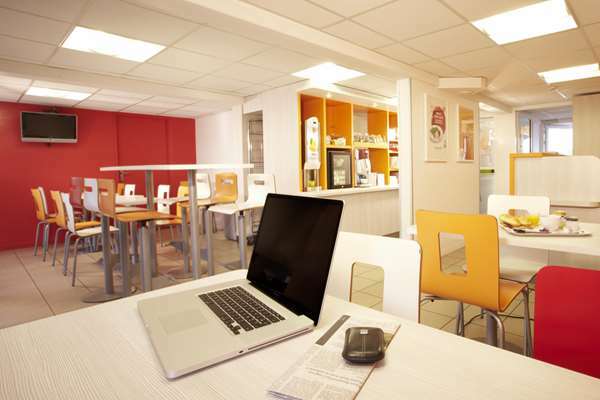 All rooms are air-conditioned and equipped with a shower cubicle containing a sink and toilet. 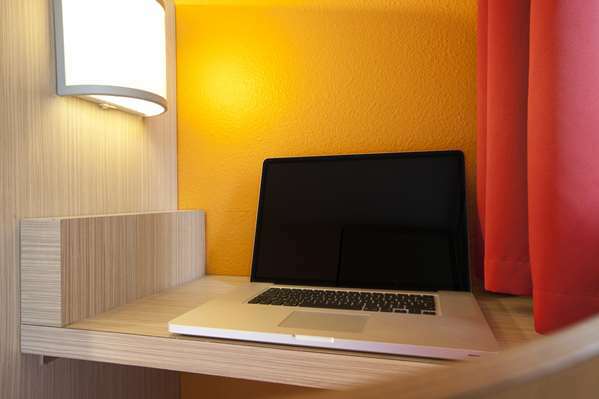 Rooms are all equipped with a desk area, flat-screen TV with built-in alarm and free Wi-Fi access. Among the 71 rooms for reservation, we have 26 double rooms and 45 triple rooms, including 3 that are specially adapted for people with reduced mobility. 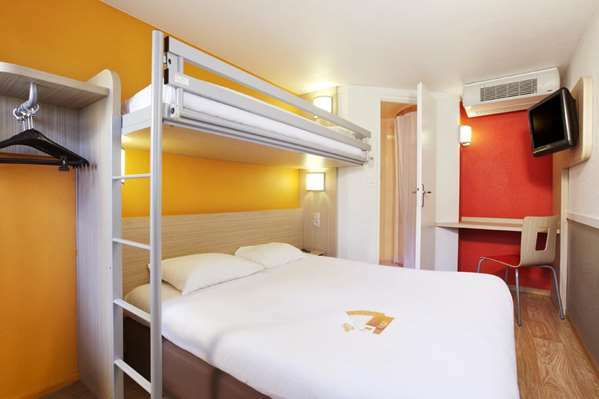 These rooms have an overhead bunk to accommodate a third person at no extra charge. 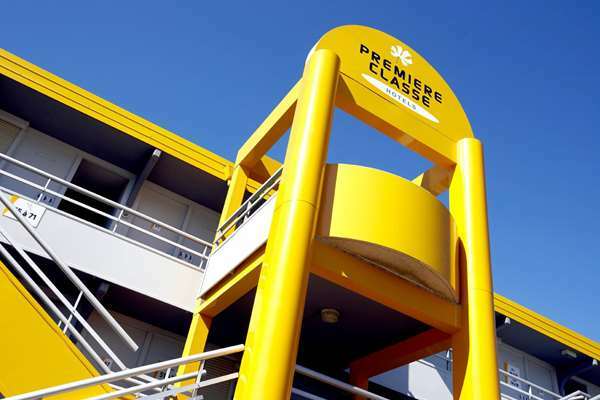 Our hotel is wheelchair accessible and 3 rooms are specially adapted for this purpose. 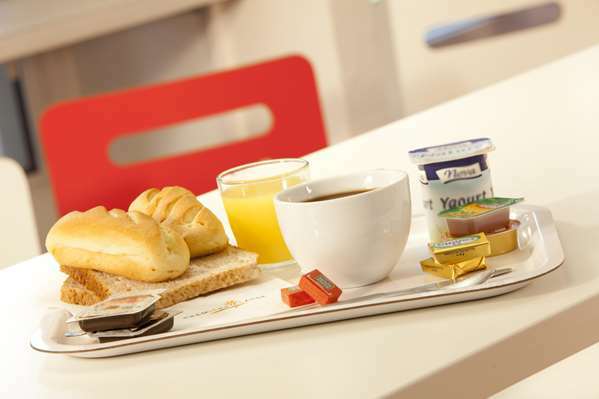 Fill up on energy with the all-you-can-eat breakfast buffet for just €5 at Hotel Première Classe Montauban. Children ages 10 and under receive a 50% discount (offer valid for paying hotel guests, up to 2 children per adult). Don't go there if you want to feel safe. We checked in at about 5pm as there is only someone there between 5 and 7 to do so unless you want to deal with a machine. There was a man sitting in a white van right outside our ground floor door which opens right onto car park , he watched us moving in our suitcases etc then drove off to a corner away from the building, he was very suspicious looking. We went into our room and i looked out the window to see the man was now standing beside my car looking in its windows , i opened the door of our and was less than ten feet from him but he never moved very intimidating !. I went back into the room and observed him now he was looking in our room window and then standing right outside our door, we were being cased out . The lock on our door was bent as if previously forced( room number 2). We were the only two there at the time then an Italian registered car arrived and they parked beside me and i was watching this man and he was looking into that car right beside it too once they went into the room. He was definately up to something and had no fear of being seen . I went to the receptionist and reported this but the girl came out and said it was alright . it was only a couple of hours away from dark and we felt very unsafe as this mans behaviour was not normal, and when in a Foreign country it is not easy to phone the Police when one doesn't speak French very well. We didn't feel a bit safe and i am not easily frightened. We had a lot of expensive camera gear with us and our money all in the one room with him hovering outside our door and not a bit shy of staring at us , we had a shower and left taking the option of driving on and sleeping in our car rather than spending the night there . Of course we don't expect but would like a refund. I don't like to leave negative reviews but i would strongly recommend that you avoid this place if you want to feel safe for a good nights sleep. I have no doubt we would not have had a nights sleep without something either happening to our car, ourselves or our belongings. Spend a bit more and go somewhere safer than this rather bleak industrial setting where one feels totally vulnerable to theft . Je tiens à vous faire part de nos excuses pour la gêne occasionné par cet incident. Sachez que nous comprenons que cette situation ait nuit à votre séjour. Le confort de nos clients est une priorité. I signed up for discounts for this chain planning a trip. I got the second night free so didn't expect anything. Check in is at 17.00 and most are manned till very late. We were lucky the room was ok clean. The bathroom had no hook for the showerhead and the toilet did smell of sewer. It just needs some bleach / chlorine to get rid of smell in the pipes and brown stain. 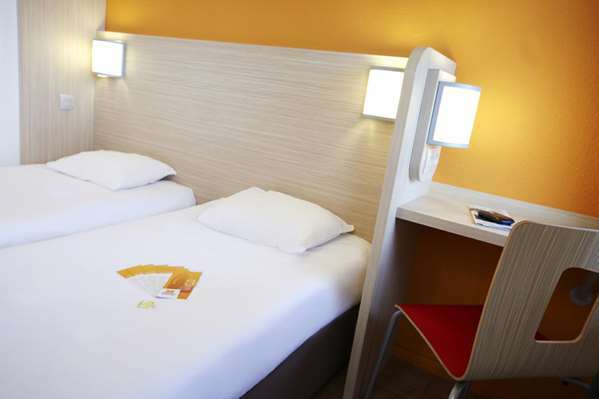 The rooms are not soundproofed like Ibis budget so you have to be lucky with neighbours. Or carry earplugs with you, like we do, but did not need them here. There is a real good boulangerie at the roundabout for breakfast. 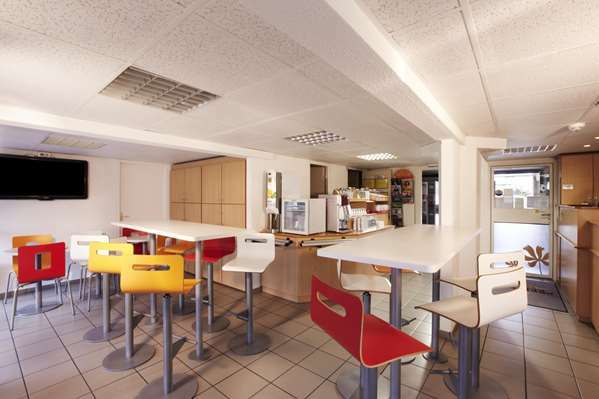 You can always have breakfast or dinner at Companile , part of that chain as well. There is a Géant casino, Aldi and mcDonalds close by as well. 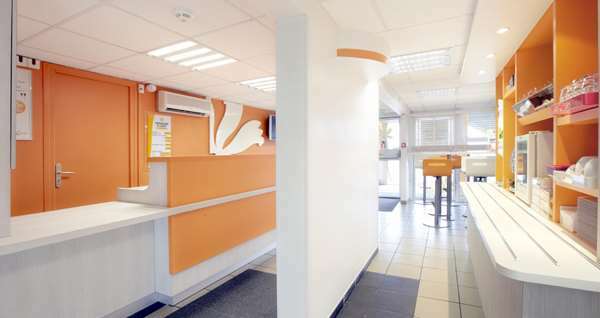 Nous avons le souci de la satisfaction de nos clients. 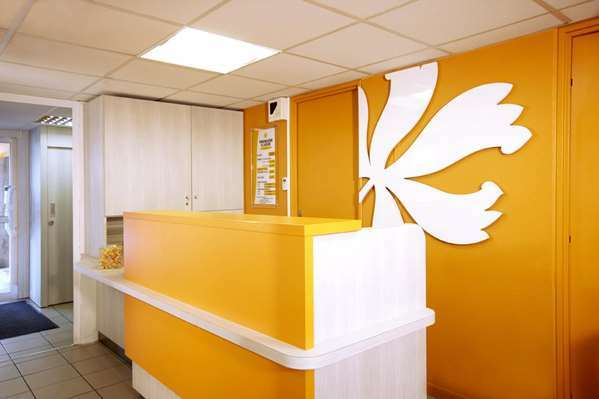 Sachez que toutes nos chambres incluent une salle de bain individuelle, dispose d’une literie très confortable, un WIFI gratuit, et l’accès à toutes les chaines gratuites de la TNT grâce à nos téléviseur LCD multimédia. La qualité de nos équipements est assurée par des mesures quotidiennes. Nous comprenons que cette situation ait nuit à votre séjour et nous en sommes désolés. Didn't even stay one night! We wanted a room for three nights to enable us to visit family nearby. We booked this place in Engksnd before we left. On arrival we had to find our room as it was an automated check in . The rooms opened directly to the outside and a number of doors were open as the rooms were being prepared. The smell coming from the rooms was of urine. The room was almost entirely taken up by a bed,the bathroom was a small triangle across a back corner. The smell was horrendous. We managed to contact a man who said all Premire Classe places are like this. We left and got alternative accommodation despite having already paid. I would not advise anyone to use these places. Horrid! 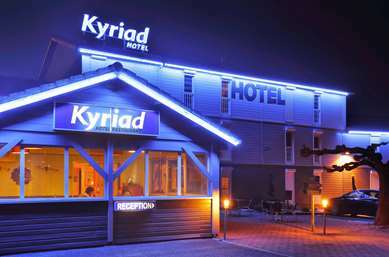 Good economical stay for one night. Rooms are very basic, small and compact, Comfortable bed but could do with extra pillows as the one's provided are very thin. Bathroom/Shower area is tiny with a strong drainage smell which is not pleasant. Ideal for one night but wouldn’t want to stay longer. 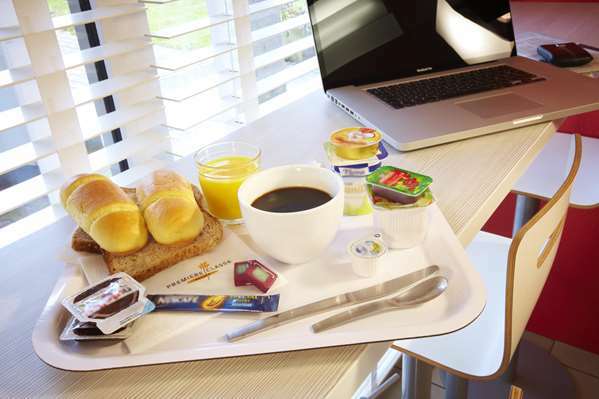 Pour un prix compétitif, nous proposons des chambres rénovées avec tout le confort nécessaire, nouveaux matelas, WIFI gratuite dans tout l’établissement, un petit déjeuner « à volonté » un partenariat avec le restaurant Campanile, un grand parking fermé et gratuit, un emplacement proche de la sortie N°66 de l’A20/E66. 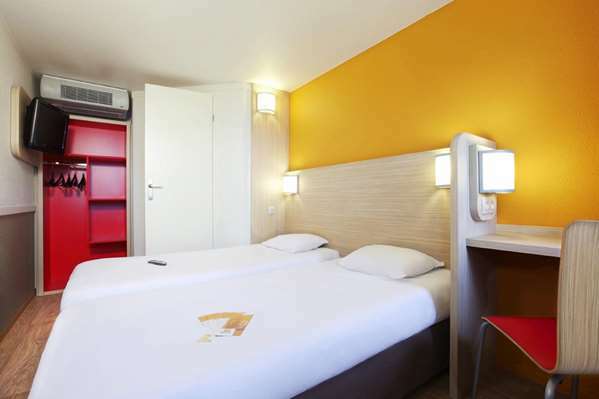 We reserved a room for 1 night at Hôtel Première Classe Montauban. However, when we arrived, the reception is closed and we followed the instruction of the staff (who called us earlier) to retrieve the key pass from the machine. However, the key doesn't work. Called again and the staff said he cannot come, just told us to asked for a refund at reception tomorrow. Then, next day, we went to the reception and the staff claims that she doesn't speak English and ask us to call another day. Again, we made the call several times during the past few days and either no one answer or the person doesn't speak English. I must say it's a very bad experience, especially for a family trip with a 4 years old kid, I'll never recommend this hotel.